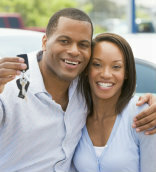 At Credit Union of Atlanta, purchasing a new, used or refinancing a car doesn't have to be a long, drawn out process. At CUA, you can get the auto loan financing you need with flexible terms and payment plans. Plus, add mechanical breakdown and total loss protection to your purchase. Get preapproved for extra bargaining power at the dealership. We help our members lower their current car loan payments that they are paying somewhere else. Choose from our selection of pre-owned vehicles. Protect your vehicle from mechanical breakdowns and total loss. Get a quote today. Not everyone has perfect credit. We're excited to offer the "GO" Auto Loan. If you aren't approved the first time around, we will take a second review with the "GO" Auto Loan. At Credit Union of Atlanta, we understand that "life" can happen to you. A sudden job loss, a major medical issue or even divorce can cause lots of troubles as you attempt to make ends meet. Regardless, we got you...it's a "GO!" The "GO" Auto Loan helps you get approved, or get a lower interest rate than what you are currently paying on your car loan somewhere else. Just apply for an auto loan at the credit union and we got the rest handled for you. It's simple and it's quick. In the current market, during the first few years that you own your vehicle, your loan balance can be higher than the actual value of your vehicle as a result of depreciation. As your vehicle's value declines, your loan balance may decline more slowly resulting in a financial gap. If your vehicle were stolen, or totaled in an accident, you would be liable to pay the difference between your insurance settlement and your outstanding loan balance. Guaranteed Auto Protection Plus will even cover your auto insurance deductible of $1,000. Credit Union of Atlanta has a referral relationship with Enterprise Car Sales. At Enterprise, our commitment to member service has always been at the heart of our operations. Our professional staff will listen to you and help you find the right vehicle to fit both your needs and budget. With more than 250 makes and models of late-model, low-mileage vehicles at low, no-haggle prices, you will finally experience that worry-free environment when purchasing a vehicle you've always hoped for! View the inventory today at enterprisecarsales.com and call 866.227.7253 to make your vehicle selection appointment today!